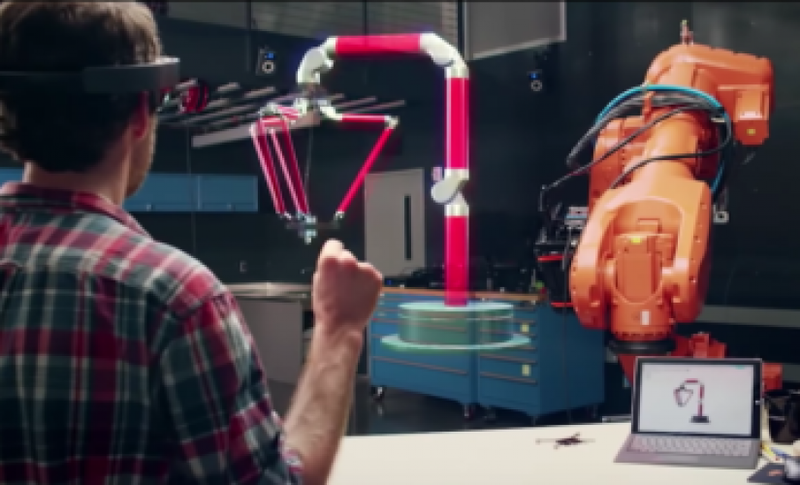 Microsoft Declares HoloLens "Open for Business"
Microsoft has declared HoloLens, its augmented reality headset, “open for business” with the launch of its commercial suite. Kiosk mode – Allows businesses to set HoloLens to a specific app or run in “demo mode” for presentations or experiences. Useful for tourism and education. Mobile Device Management (MDM) – Microsoft provides InTune, a software program that lets businesses manage hundreds of HoloLens’ at the same time. Work access – Employees can take HoloLens home and connect to work applications, or a HoloLens enthusiast can bring their own device to work and connect to the business platform. Windows Store for Business – Provides businesses with the ability to tailor to the app store to the company’s apps or apps that are considered productive, like Word, Excel, or Photoshop. Windows Update for Business – Businesses tend to receive more frequent updates and the devices are supported for longer. Microsoft is sticking to that with the HoloLens. Azure Active Directory – Higher level security for business users. Bitlocker encryption – Encrypts the login for HoloLens, Microsoft also provides secure boot, an essential for security focused businesses. That’s quite an impressive lineup of enterprise features, but we shouldn’t be surprised, considering Microsoft has already begun preliminary tests of HoloLens with government organizations like NASA. Microsoft may also be attempting to pull businesses away from Google Glass, which has seen some success in the market, thanks in part to startups like APX Labs pushing new enterprise software to the device. HoloLens is still in development, so the current version shipping to developers and enterprise customers is far from finished. That said, some businesses may want to get ahead of the curve by deploying AR early, or at least testing it to see the advantages. Microsoft sells the developer edition for $3,000, but doesn’t say how much the enterprise version will cost. It does however mention that HoloLens can be purchased in bulk, a signal to large businesses that Microsoft is capable of large deployments.